После этого, детали на которые нанесена порошковая краска помещаются в печь или камеру полимеризации для непосредственного окрашивания детали. 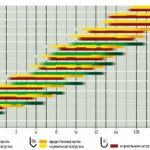 Температура в печи достигает 150-220 оС. Здесь частицы порошка оплавляются и закрепляются на окрашиваемой поверхности. 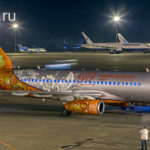 Этот процесс также называют формированием поверхности. После образования пленки покрытия детали охлаждаются и снимаются с конвейера. Currently, in the field of industrial painting, there is no worthy alternative to powder painting of products for technological and economic reasons, as well as for environmental protection. Powder paint differs from traditional liquid paint materials in that it does not contain organic and other volatile substances. At present, powder paints are almost the only kind of special paint and varnish materials, allowing non-waste technology to produce coatings. In addition to the numerous advantages in their application and use, they allow to obtain high-quality coatings with good corrosion resistance, high impact resistance, and generally without prior priming. Powder coating is a layer of polymer powders, which are first sprayed onto the surface of the product, and then subjected to polymerization at a specific temperature in a special furnace (polymerization furnace). Preparation of the surface for painting (includes removal of impurities and oxides, degreasing and phosphating to improve adhesion and protect the product from corrosion). Application of a layer of powder paint on the surface to be painted in the sputtering chamber. Melting and polymerization of a powder coating in a polymerization furnace. Formation of the coating film. Cooling and rejection of paint. At large volumes of production or processing of large-sized parts, a transport system is used. With its help, painted products easily move from station to station. The principle of its operation is that the painted parts are delivered on a special suspension or carts that move along the rails. The transport system allows the painting process to be carried out continuously, thereby significantly increasing the productivity of the work. At the beginning of the powder coating process, the parts are loaded onto the conveyor belt. When pre-treatment of the surface before painting, the parts get into a five-stage cleaner, where they are treated with a cleaner, rinsing with pure water, phosphating and anti-corrosion treatment. After that, the parts are dried. To do this, they are run through a special oven for drying in order to prevent moisture from getting on them, after which they are cooled. In the next step, the parts are placed in a painting or spraying chamber, where the powder paint is manually sprayed onto the workpiece by an electrostatic atomizer under the action of compressed air. In the atomizer, the ink particles acquire an electric charge. Under the action of electrostatic forces, the powder particles are attracted to the surface and are arranged on it by uniform layers. After that, the details on which the powder paint is applied are placed in the furnace or polymerization chamber for direct painting of the part. The temperature in the furnace reaches 150-220 ° C. Here the powder particles are fused and fixed on the surface to be painted. This process is also called surface formation. After the coating film is formed, the parts are cooled and removed from the conveyor. 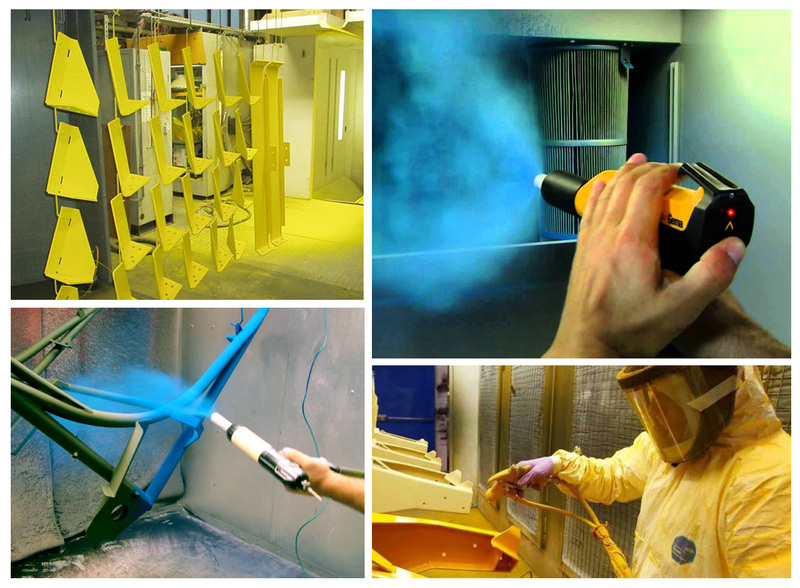 Advantages of powder coating are, first of all, in the strength, economy and environmental compatibility of the coating. The production of coatings is increasingly based on the manufacture of innovative high-tech materials. 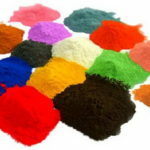 The production of powder paints is one of the most important modern trends. This technology of production does not use flammable and toxic liquid solvents, therefore this technology is practically safe. The absence of solvents provides additional savings on the cost of paint. In addition, the choice of colors and textures is almost unlimited. This method of coloring allows you to choose any shades and textures, for example, gold or silver metallic, surfaces under bronze, silver or granite. Using the method of powder painting, you can obtain surfaces with varying degrees of gloss, as well as with a relief texture. Powder paints are delivered ready-made, which eliminates such costly procedures as viscosity control and tinting. This provides them with economy, durability, strength, durability and excellent quality. Powder coating provides the formation of a shockproof corrosion-resistant coating, which operates in the temperature range from -60 to + 150 ° C and provides reliable electrical insulation. Sharp changes in temperature do not affect the quality of the paint. The upper layer collapses and becomes chalk-like. The epoxy-polyester powder paints include epoxy and polyester film-formers that react with each other during curing. These paints have a lower tendency to yellowing and withstand higher temperatures. Polyester powder paints are well suited for painting objects outdoors, since in the open air their top layer does not break down and they do not «bloom». Polyurethane paints give the coatings a steady shine. They are used to protect products that are subject to abrasion, abrasion. In addition, give the surface a special decorative effect — the texture of grated silk. Polyurethane coatings have high weather resistance, resistance to water, liquid fuel, mineral oils, solvents. Acrylate powder paints are used for painting objects subject to external influences. Resistant to alkali and have good heat resistance. Coatings for a long time retain the gloss and color. Properties of powder paints. The main properties of powder paints are: dispersion composition, flowability, hygroscopicity, bulk density, and fluidization ability. Dispersion composition. The size of the particles in powder paints is widely scattered. The permissible particle size is in the range of 5-350 μm. Depending on the methods of applying the paint, the allowable size varies. A necessary requirement for all powder paints is good flowability. If flowability is insufficient, the application of paints is difficult. The criterion for the evaluation of flowability is the angle of internal friction, the rate of precipitation of the powder, the pouring angle, the angle of collapse. With normal flowability, the angle of the natural slope usually ranges from 36 to 45 degrees. Another property of powder paints is hygroscopicity. Powder paints have the ability of moisture absorption. As a result, the flowability of powders is reduced, the electrical properties of paints can change, and this also affects the quality of film formation. Bulk density. This is one of the mass and volumetric characteristics of powder paints. Bulk density is the mass of loose powder in unit volume, expressed in kg / m 2. 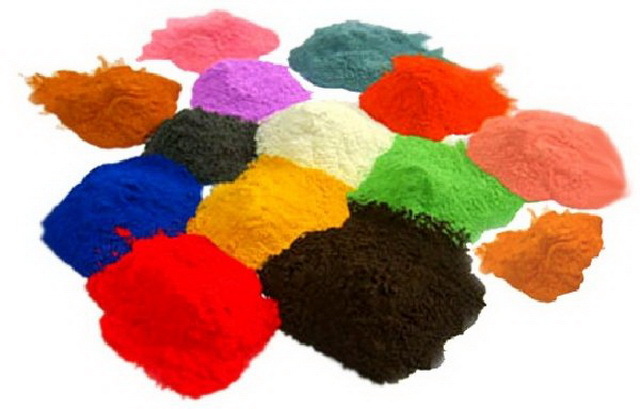 The norm for industrial powder paints is a bulk density of 200 to 800 kg / m 2. This indicator depends on the composition of the paint, on the shape and degree of polydispersity of the particles. The ability to fluidize — to the formation of the fluidized bed required by coating technology depends on the structure and properties of the powder. So the fluidization is not capable of strongly moistened, finely divided powders with a natural slope angle of more than 43 degrees. And this ability is particularly well manifested in powders consisting of coarser particles, the shape of which is close to spherical. The field of application of powder paints Powder coating is an environmentally friendly waste-free technology for obtaining high-quality protective and protective decorative coatings. Coatings are formed from polymer powders that are applied to the surface of a product By electrostatic spraying. 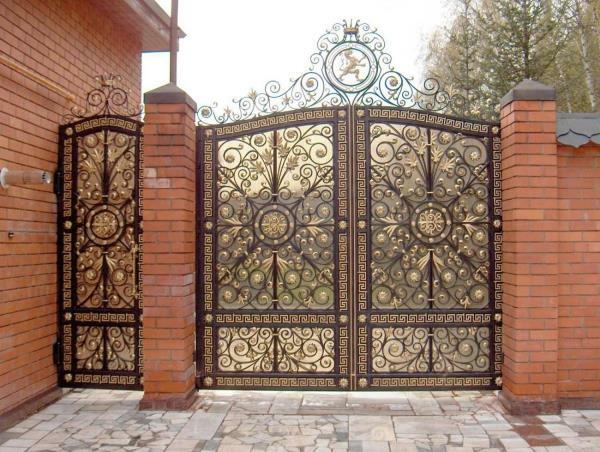 Coatings obtained in this way are, as a rule, very strong and durable. 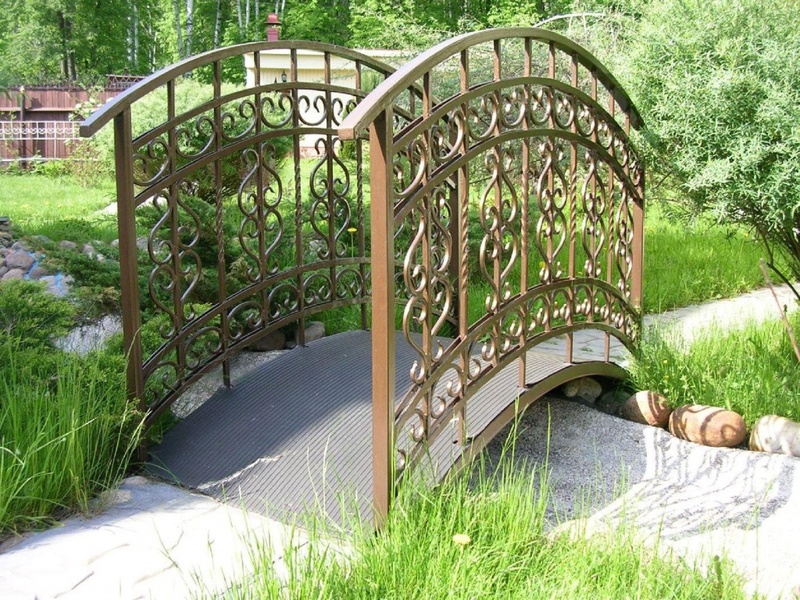 This method is ideal for painting forged products, aluminum profiles and galvanized surfaces. Powder paints are modern innovative paint and varnish materials. Their scope is constantly expanding. They are widely used in construction, agricultural machinery and instrument making, automotive and other industries for painting: aluminum profiles and metal structures (fencing, outdoor advertising elements); Sports equipment (bicycles, motorcycles and snowmobiles); Medical equipment (beds, chairs, tables); Roofing materials (metal roofs, drains); Household appliances (refrigerator housings, washing machines, computers) of furniture; Non-metallic products (plaster, ceramic, glass), etc. Powder painting methods There are four basic powder coating processes: electrostatic spraying, fluidized bed, electrostatic fluidized bed (electrostatic fluidized bed ) And applying by flame (flame spray). 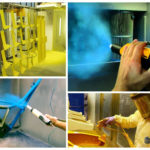 Electrostatic spraying is the most popular method of powder painting to date. For all applied methods, surface preparation (ie, cleaning and conversion coating) should create a good substrate for coating. The surface should be prepared accordingly. Features of four different powder coating methods: In the electrostatic spraying process, the dry powder particles acquire an electric charge, while the surface to be painted is electrically neutral. Charged powder and neutral working area create an electrostatic field that attracts dry paint particles to the surface. Getting on the surface to be painted, the powder coating keeps its charge the first keeps the powder on the surface. The surface thus painted is placed in a special oven where the paint particles melt and soak up the surface, gradually losing their charge. The second method of application provides that the powder ink particles are held in suspension by the air flow. When coming into contact with the preheated surface to be painted, these particles melt and are firmly retained on its surface. The thickness of the powder coating depends on the temperature, the degree of surface heating, and on the duration of contact with the powder particles. When applying thermoplastic coatings, subsequent heating in most cases is usually not required. However, in order to completely solidify the powder coating, additional heating is necessary in some cases. The electrostatic method of applying powder paint with an air flow is very similar to the previous one, but in this case the airflow that holds the ink particles is electrically charged. Ionized air molecules charge the ink particles when moving upward in a special furnace, where the painted surface is placed, and a cloud of charged particles is formed. A colorable surface having a neutral charge is covered by a layer of charged particles. In this case, preheating of the painted surface is not required. This technology is suitable for dyeing small and simple objects. The method of staining with flame appeared relatively recently and was mainly used for powder coatings from thermoplastic. Thermoplastic powder melts under the influence of compressed air and enters a special gun, where it passes through burning propane. Molten paint particles are applied to the surface to be painted, forming a strong layer. Since this method does not require direct heating, it is suitable for most materials. With the help of this technology, it is possible to paint surfaces from metal, wood, rubber and stone. The application of paint with a flame is also suitable for large or fixed objects. Powder paints are selected depending on the desired surface characteristics. The properties of the powders must meet the individual customer requirements imposed on the surfaces. Powder coatings are divided into different categories, depending on the application. Thermoplastic coatings are used for dyeing more dense surfaces and provide durability for coatings, while thermostatic powder coating is used for painting thinner materials, mainly for decorative purposes. 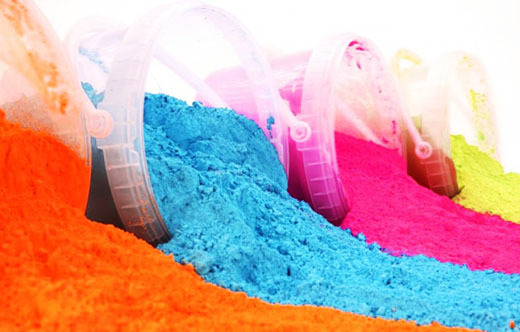 Powder paints use polyethylene, polyvinyl, nylon, fluoropolymers, epoxy resin, polyester and acrylic resins. Material compatibility: The electrostatic spray painting technique is most suitable for painting small metal objects. As for all types of painting, powder materials applied on a clean, smooth and well prepared surface. The surface to be painted does not need to be pretreated, however, additional surface preparation (for example, iron phosphate treatment for steel, zinc phosphate for galvanic cells or steel and chromium phosphate for aluminum surfaces) significantly improves the quality of the powder coating. 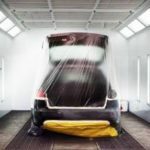 Only those materials that can be heated to high Temperatures can be powdered by electrostatic spraying, by air flow or electrostatic application tions with the help of air. Consequently, these technologies are most suitable for small metal objects. The typical process of powder coating is the following sequence of operations: Preparation of the surface of the product for painting. 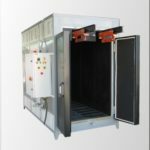 The application of a powder coating on the surface to be painted in a spray chamber with a spray, in which particles of the polymer powder are imparted an electric charge, and which, with compressed air, transports the powder to the part. Under the action of electrostatic forces, the powder particles are attracted to the surface of the painted part and uniformly arranged on it. Heating of the product in a melting and polymerization furnace at a temperature of 140-220 оС, (depending on the type of paint). As a result of heating, the powder melts, polymerizes and the coating acquires the necessary protective and decorative properties.